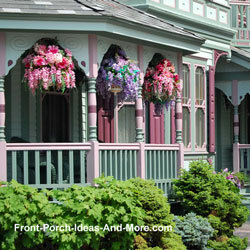 Victorian style houses offer unique beauty and wonderfully large front porches. I have always been intrigued with Victorian style houses and I often stop to admire them. My mother once told me that she would have loved to have a Victorian style home. 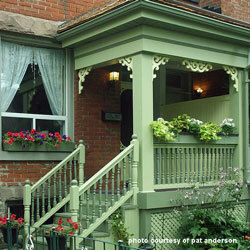 Victorian houses are usually quite beautiful on the outside - from the large Victorian porches to the decorative gables. 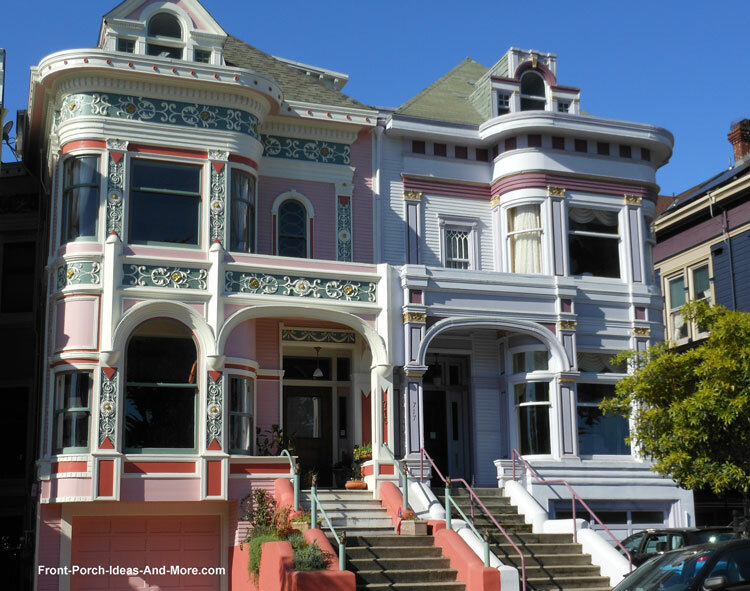 Victorian house architecture is charming with rich, deep beautiful colors you don't see in most neighborhoods today. Makes me wish I could see the inside of the home, too. 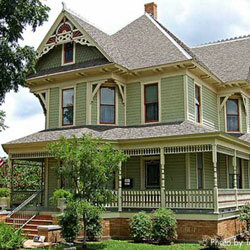 Victorian style houses are patterned on the 19th and 20th century Victorian periods in history. From charming cottages to towering mansions, Victorian style architectures is romantic, flamboyant, and come in many sizes and shapes. They may well have large multiple porches with intricate detailing. 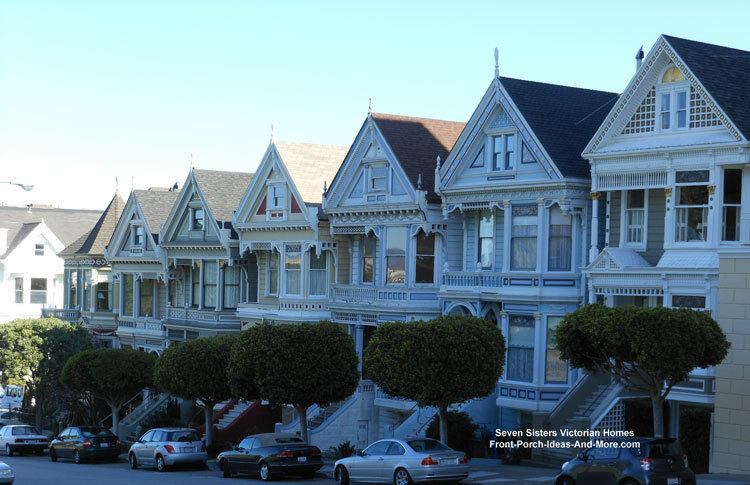 Most people do not realize that Victorian houses were built not only for their ornate beauty but also for health reasons. 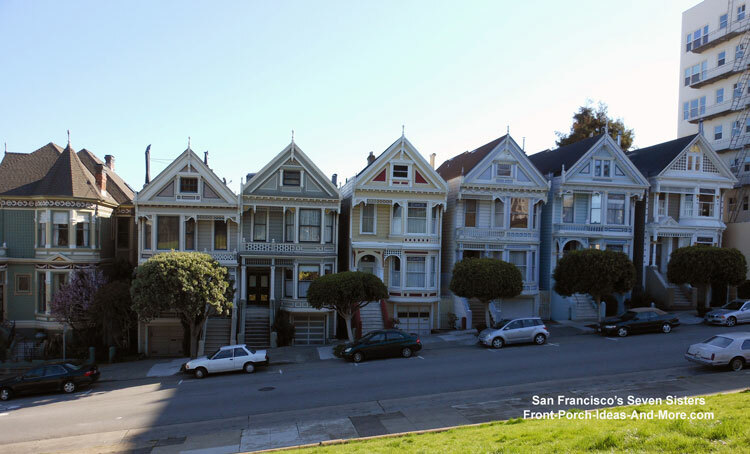 In the late 19th-century, architects built these structures with lots of windows and many porches on different levels. They recognized that stagnant indoor air posed health problems. 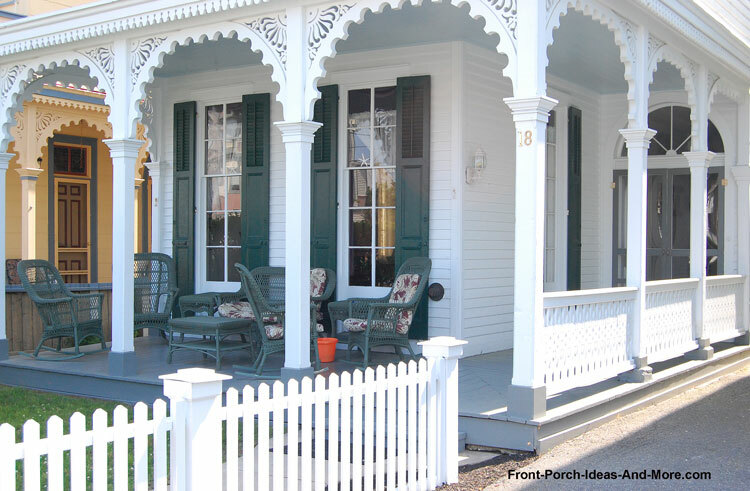 Victorian style houses are the primary reason almost every suburban home soon had a front porch - due mainly to the mass-production of wooden posts, rails, balusters, moldings, and trim details, which were shipped by railroad throughout the country. 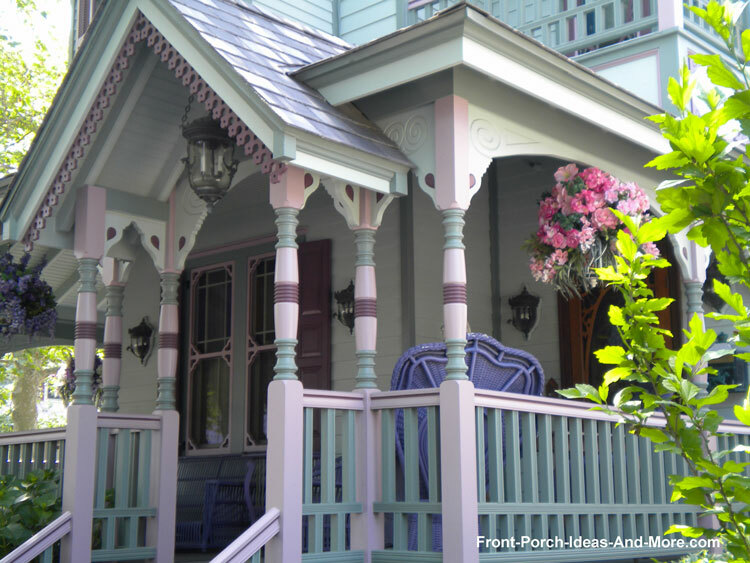 Use our directory to find a multitude of Victorian porch and home ideas. 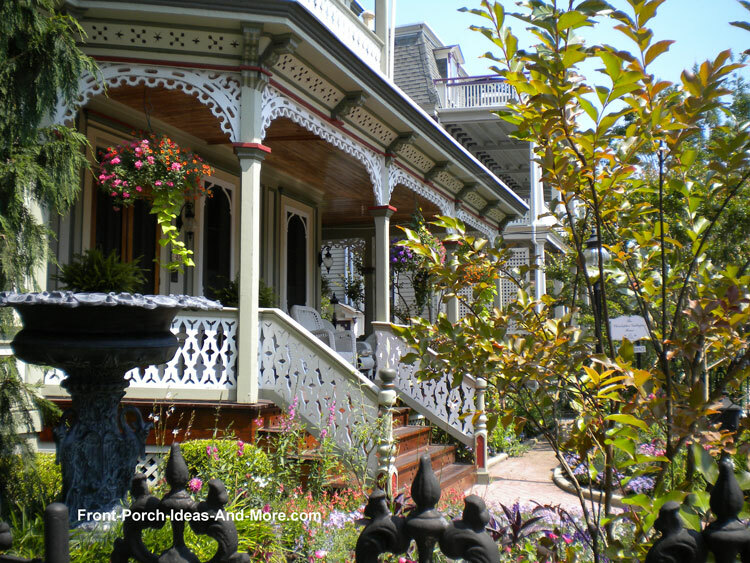 See more Victorian porch ideas from our trip to Cape May - a Victorian porch jamboree! 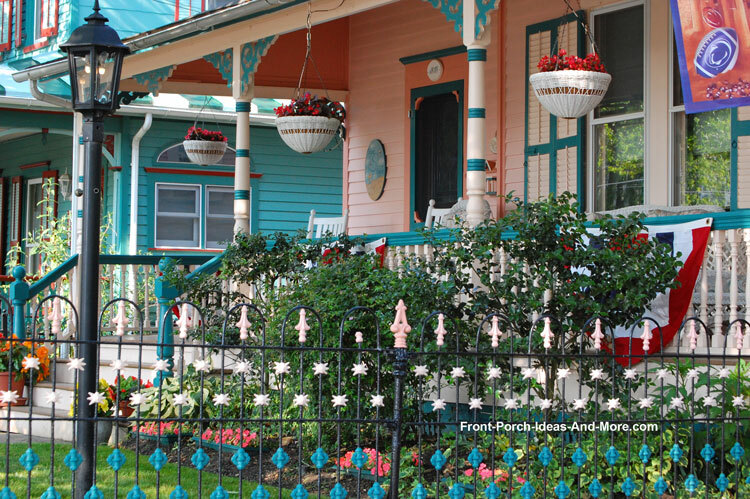 You'll notice most Victorian homes use rich, lavish paint colors that are ornamental and intricately applied. Gothic revival homes have a pointed arch, steeply pitched gable roofs, and irregular floor plans. 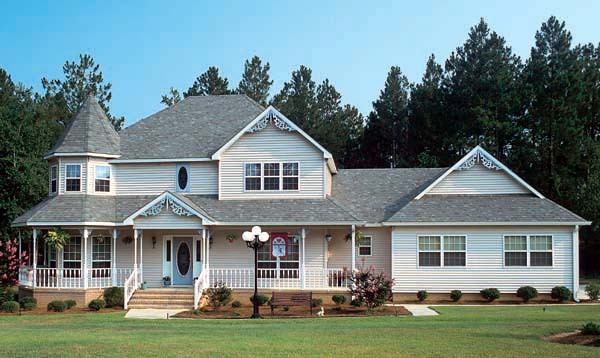 Italianate styles have large brackets under wide overhanging eaves and a shallow pitched roof. Italianate styles have defined asymmetrically arranged segments. 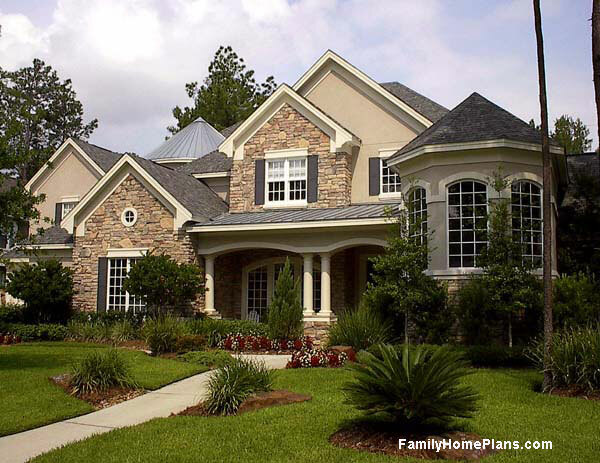 Queen Anne styles are associated with complex, irregularly shaped steep roofs and mixed surfaces of shingles, stone, brick, and wood. 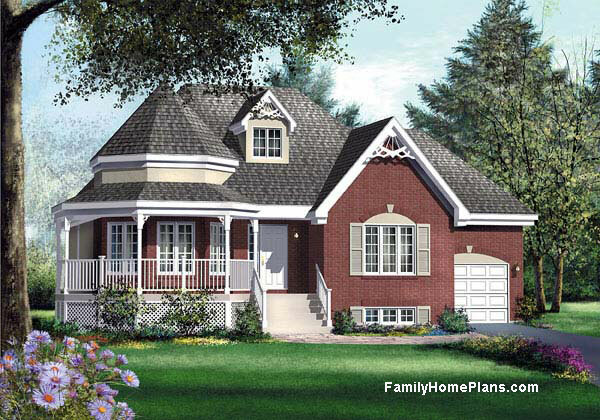 Mary and I selected several Victorian style house plans that you can use to build your own wonderful Victorian home. This elegant Victorian has a modern floor plan with a large wraparound porch - you'll love this home! This 2600 square foot home has both Victorian and Craftsman-style architectural features. 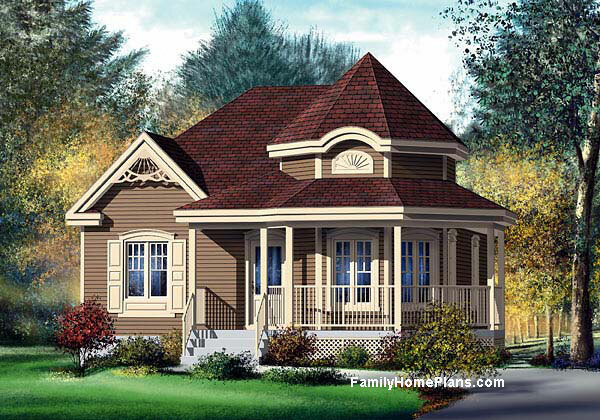 Mary and I love this quaint Victorian home - all 974 square feet of it. This charming Victorian style home has a large veranda with an arched window.